Every year, when the wind begins to blow and the leaves start to rustle, we hear strains of a ghost story called The Legend of Sleepy Hollow. It’s a scary short tale written in 1820 by Washington Irving whose home, Sunnyside, is transformed annually by Historic Hudson Valley (HHV) into an adventurous dwelling. HHV is the keeper of Sunnyside, and storyteller of this scary tale that features a headless horseman. How could such a gross idea of a horseman without a head actually be called a love story? Well, go to any of HHV’s events this fall to find out. You may meet a reincarnation of Ichabod Crane, the dowdy and, I daresay, goofy scarecrow-looking man; a school teacher by trade, who falls in love with one Katrina Van Tassel, the not-too-attractive daughter of a wealthy villager. The Van Tassels were actually a real family whom Irving used as a model for his heiress. Alas, Ichabod has a rival for Katrina’s affection whose name is Brom Bones. Proposing marriage to Katrina, Ichabod is chased away by a headless horseman, who many believe is his rival Mr. Bones. So there you have the lover’s triangle, which always makes for a good story. And that’s why Historic Hudson Valley brings the headless horseman to life every year around Halloween. 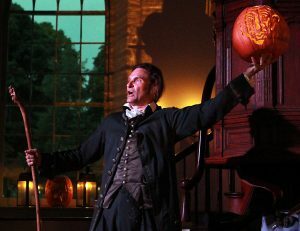 Clever, those HHV folks, scaring their neighbors in Sleepy Hollow and Tarrytown with a headless horseman that beckons them to, of all things, a walk through a cemetery or a visit the Old Dutch Church in Sleepy Hollow for annual spooky dramatic telling of Irving’s Legend. 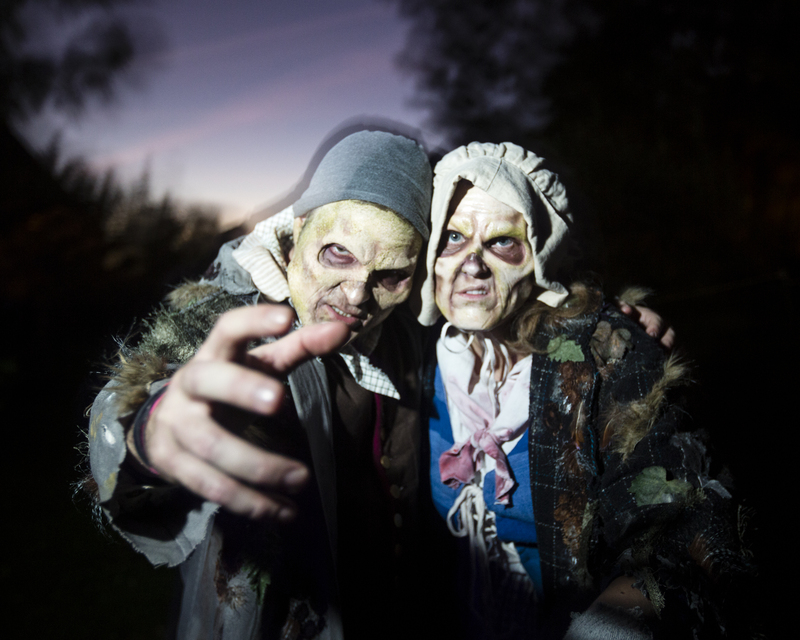 Finally, HHV turns historic Philipsburg Manor into Horseman’s Hollow, a trail haunted by evil and insane folks under the control of the Headless Horseman, which they call a “terrifying experience.” It’s just the creepy thing you yearn for on Halloween.